Selbourne Road is a unique custom built home constructed by Visioneer builders, featuring three meter high ceilings throughout, the latest in home technology, an outdoor teppanyaki grill and, our favourite; the PGA approved 5 hole putting green. 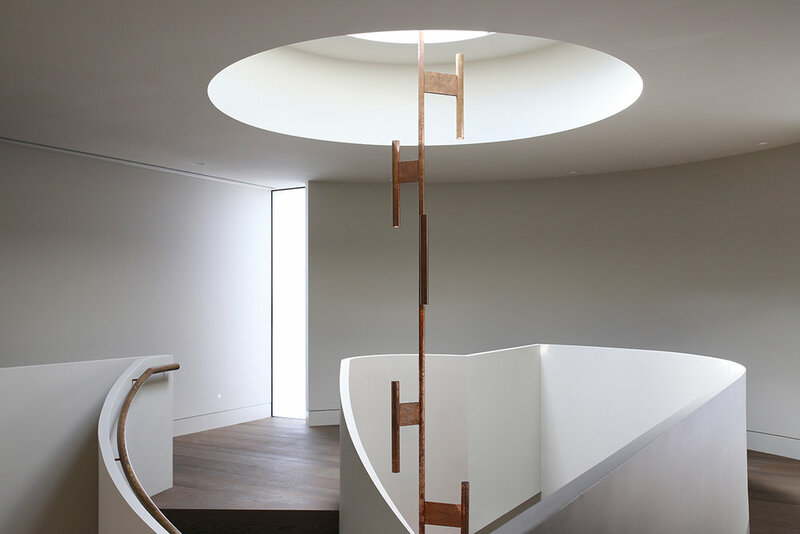 The Lights & Tracks team worked closely with the client, architect Rob Mills and Visioneer to design, specify and deliver the ultimate lighting project. 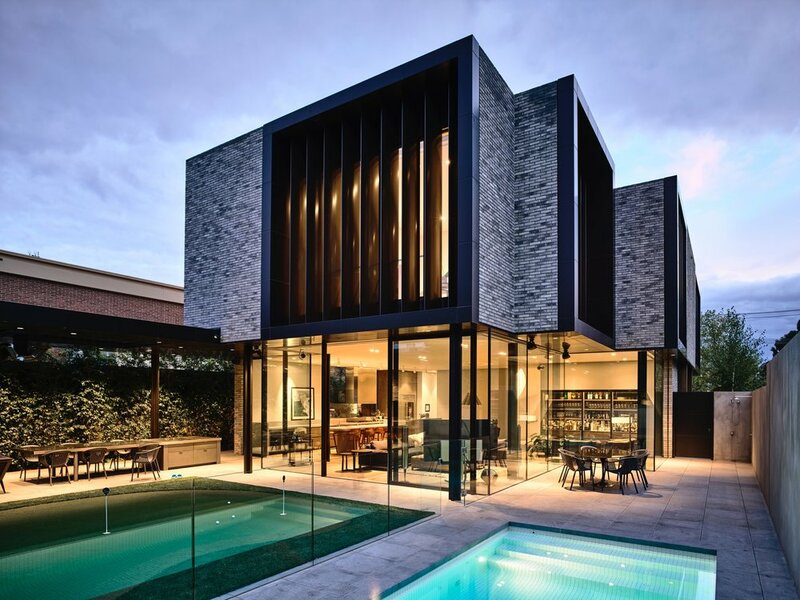 2016 HIA home of the year. The custom made patina copper feature pendant is the standout feature in this home, which extends 11 meters high from basement to first floor. With individual arms branching out, the lines are blurred between light and art. Lights & Tracks co-designed this stunning piece with one of our Melbourne based custom light designers. It's hard to imagine that backyard mini golf could be anymore fun, but that is when Lights & Tracks decided to take it up a notch. Lighting each golf pin and flag with colour change LED provides the area with a festival atmosphere perfect for entertaining. 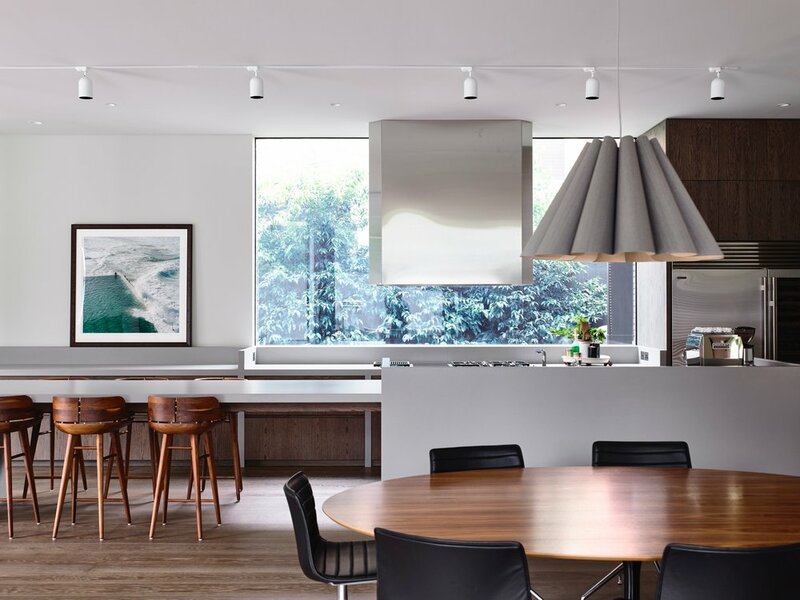 Down lights used throughout the project sit neatly in the ceiling, giving the appearance of a truely trimless luminare. Soft glowing spots on the ceiling blend into the ceiling form, whilst still providing sufficient lighting levels to the spaces below.